Please contact us for more information about availability and pricing. Sent immediately after payment via e-mail as a .pdf file. Audio below from "CAFE" CD. 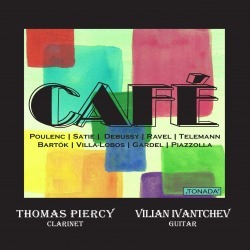 Thomas Piercy, clarinet; Vilian Ivantchev, guitar.